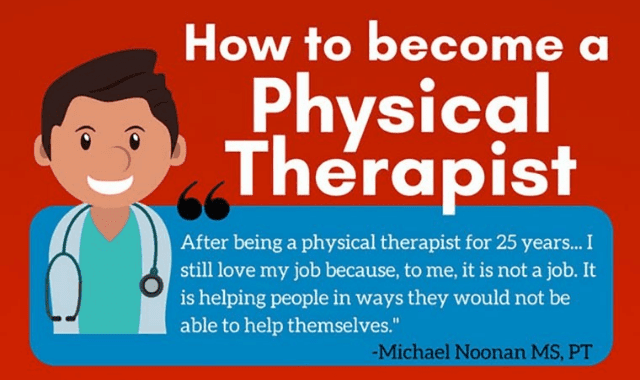 How To Become a Physical Therapist #Infographic ~ Visualistan '+g+"
Physical therapists have a challenging job but one that's potentially deeply rewarding — they have an ability to make an incredibly positive difference in the lives of their patients. PTs, as they're sometimes called, help people who are injured or in chronic pain manage their recoveries and improve their mobility. That might involve something as simple as helping an arthritis patient perform stretches, or as complex as helping a paraplegic patient learn to walk again after a car accident.